“One of the benefits of procuring our railway signalling technology is that it compatible with many existing systems. When we design and build HSR lines, we keep in mind that the alignment has to serve as many passengers as possible and on the fastest route,” he said. Zhao said China Railway Corp, which owns and operates 18 railway bureaus nationwide, had cost-efficient technology and was experienced in constructing and operating the world’s most extensive HSR network with more than 22,000km of track. China first introduced the HSR service in April 2007, and, within a decade, it has an annual ridership of more than 1.5 billion people. China’s HSR network is the most heavily used in the world, with the 1,318km Beijing–Shanghai HSR transporting an average of 220,000 passengers daily. Other heavily used lines is the 2,298km Beijing–Guangzhou HSR, the world’s longest, and the Shanghai Maglev, the world’s first high-speed commercial magnetic levitation line and sole non-conventional track line of the network. 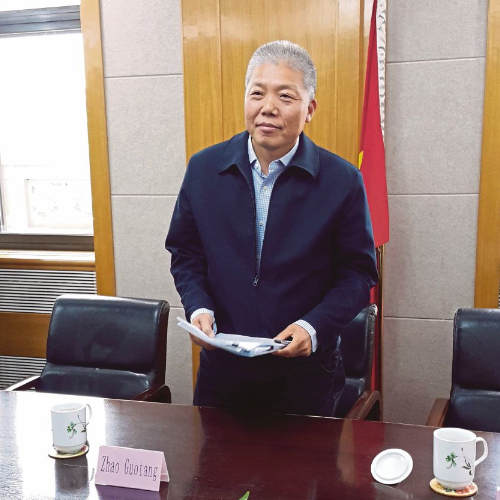 “When it comes to the design and construction of HSR lines, connectivity and integration into existing railway network is important for a thriving transport system,” said Zhao. The Kuala Lumpur-Singapore HSR will have a maximum design speed of 350kph and run on a double track with a single gauge. It will cut travelling time between the two capitals to 90 minutes, compared with a near five-hour drive under normal traffic condition. The HSR line will start at Bandar Malaysia, the site of a former air force base in Kuala Lumpur, passing through Putrajaya, Seremban, Melaka, Muar, Batu Pahat and Iskandar Puteri, before ending at Jurong East in Singapore via a bridge over the Straits of Johor. Last year, Prime Minister Datuk Seri Najib Razak and Singapore’s Prime Minister Lee Hsien Loong signed an agreement detailing the legal requirements of the HSR line. Construction is slated to be completed by 2026. Apart from China, other parties that have also shown serious interest to tender for the estimated RM60 billion Kuala Lumpur-Singapore HSR project include companies from Japan, South Korea, France, Spain and Germany. China’s intricate network of railway lines radiate in eight directions from the Zhengzhou city, the hub of China’s railway network. This railway hub is capable of handling up to 200,000 passengers per day. In Xi’an city, about 600km west of Zhengzhou city, China Railway First Survey & Design Institute Group Co Ltd (FSDI) said it was familiar with Malaysia’s railway sector. While it is not involved in the consultancy for the HSR project, FSDI said it was doing work on the 600km East Coast Rail Link (ECRL) linking Port Klang (in Selangor), Kuantan Port (in Pahang), and Kota Baru (in Kelantan). China Communications Construction Company, the main contractor for the RM55 billion ECRL, has tasked FSDI to collaborate with Malaysia’s consultant HSS Engineers Bhd in the preliminary design of the route. “When we look at the overall aspect of the ECRL, the most challenging stretch would be the 18km tunnel across the Titiwangsa Range,” said FSDI director-general and senior economist Han Dong. “From our decades of experience in extreme engineering of railway design for passengers and freight, we know how to overcome this type of challenge,” said Han. “We adapt our technology to the tropical settings and on-the-ground feedback provided by HSS Engineers, our local partner in Malaysia,” he added.